WorldFish’s new six-year strategy, launched today, aims to boost sustainable aquaculture production and small-scale fisheries in developing countries, at the same time helping many of the world’s poorest fishers and fish farmers exit poverty. The strategy, aligned to the UN Sustainable Development Goals (SDGs), sees increased emphasis on the development of improved fish breeds and feeds, strengthening fisheries governance, and delivering nutrition outcomes. 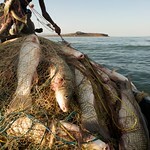 There is increasing acknowledgement that addressing fish supply in developing countries is essential for global food and nutrition security. 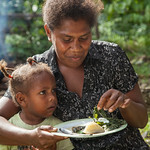 The UN High Level Panel of Experts on Food Security and Nutrition (HLPE) recently concluded that fish is “crucial to any debate and action to reduce poverty and improve food security and nutrition.” The new strategy (2017-2022) outlines how WorldFish will achieve its mission of strengthening livelihoods, food and nutrition security by improving fisheries and aquaculture. Aquaculture is a growth industry with more than 100 million people, most in the developing world, depending on it for their livelihoods. However farmers often use poor quality seed resulting in low productivity. To boost yields, WorldFish will build on its long-running tilapia and carp breeding programs to develop new knowledge and technology in improved breeds, fish health, aquafeeds and management practices. Projections are that this will directly benefit 5 million producer households, with targets of increasing sustainable production by another 4.8 million tonnes annually in some of the world’s poorest countries. Small-scale fisheries are a vital source of food and income for millions of poor households, yet are under threat from over fishing, population growth, poor governance and climate change. WorldFish will work with communities to develop resilient fisheries by researching improved governance innovations to promote sustainable and equitable resource use and increase the profile of fish in health and development policy agendas. Through projects in target geographies in Africa, Asia and the Pacific the aim is that this will lead to 3.3 million hectares of ecosystems restored through productive and equitable management. Consumption of fish – a rich source of micronutrients and essential fatty acids – has a critical role to play in boosting dietary diversity. WorldFish will develop and implement novel aquaculture and fisheries production systems, in particular fish-rice systems, research methods to reduce post-harvest waste and losses and continue to develop novel fish-based products such as the fish chutney piloted in Bangladesh. The aim is that this work will result in 2.4 million fewer people suffering from micronutrient deficiencies and help 4.7 million more women of reproductive age achieve a more balanced diet. CGIAR is a global research partnership for a food-secure future. Its science is carried out by the 15 research Centers that are members of the CGIAR in collaboration with hundreds of partners.